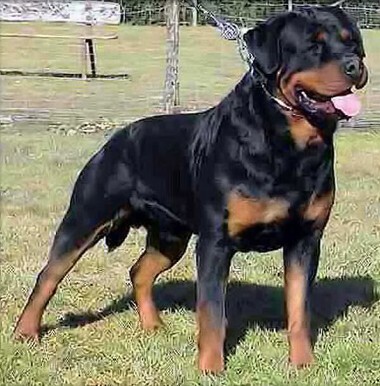 Von Der Musikstadt Rottweilers is one of the few Rottweiler kennels in America who have dogs from first generation Bloodlines imported from Germany and other European countries. 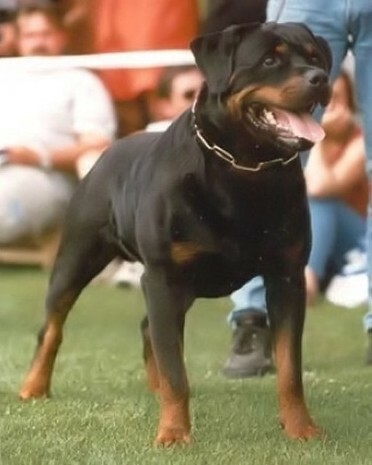 Von Der Musikstadt is also one of the few breeders whose Rottweiler dogs parents have been shown all around the world and have high working titles. Von Der Musikstadt bloodlines are 100% world known and respected. We focus a lot of time and research from nutrition, genetics, conditioning and overall Temperment. At Von Der Musikstadt German Rottweiler breeder, we focus on our bloodlines. Foundation Rottweilers in our lines are Balou Vom Silberblick, Rick Von Burgthann, Lacky von der Sudpfalz. All of our breedings have Rick, Lacky, and Balou as a baseline. 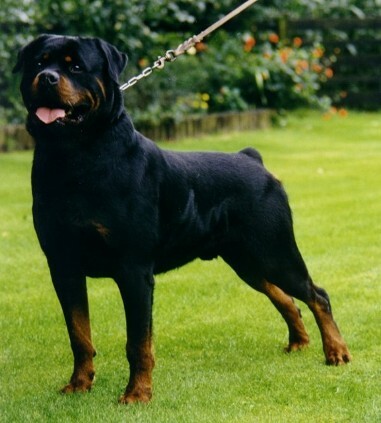 Both Rottweiler bloodlines bring size, structure, and temperament. These bloodlines are a slow maturing line; the dogs who mature slowly, age slower to live longer. 2 new lines were introduced to our kennel, the first bloodline is Orlando Von Hause Neubrand. Orlando line breedings have been very successful in also keeping the size, structure, and temperment, but adding a very short back to the program. The second is Lenz von den Hassberghohen. Lenz is a large male with excellent mouth and eye pigment, excellent temperament achieving a very clear head to focus to work related titles. We also strive to follow the Rottweiler standard in all the puppies we produce. Check out our Rottweiler stud dogs. BH AD SchH/VPG III, IPO III, Gek. b.
Rick has a strong temperament, great structure, and beautiful markings. Balou was one of the best German Rottweiler stud dogs in Germany. Balou was also thought of as the perfect example of the breed. He is world famous for producing some of the best bloodlines today throughout the world. Orlando was known as having a excellent temperament, great structure, and beautiful markings. Orlandos line produces very pronounced marking with rich red/mahagony in color. 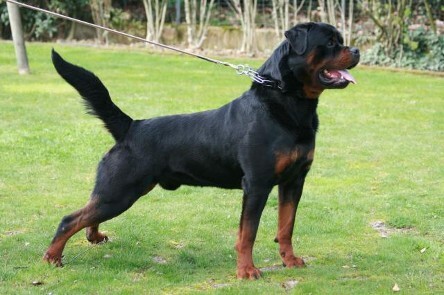 The Rottweiler standard is to have clear markings. It is not favorable to have dark, black, or sooty markings. Another trait he is known for is producing a short back. Orlandos line has been extremely successful in Germany.